1. 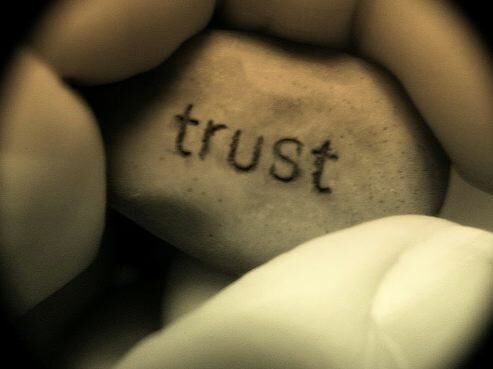 Ask someone you already trust and respect to recommend an insurance broker. The recommended party presumably has demonstrated their capabilities through a long term relationship with your friend. 2. Your insurance representative should be financially sound and the minimum recommended ratio of current assets to liabilities is 2:1. Their accountant should verify this. 3. It is suggested that you contact the State Insurance Department to see if there are an complaints about the insurance Firm you are researching. 4. Request that the Firm provide testimonial letters and references for you to call. 5. As a test for competency, research the education of the Firm’s personnel and how many employees are licensed or have advanced degrees in insurance. The Firm should profile their employees and comment on how long they have worked for the Firm. Insurance is a complex business and it is crucial that you deal with honest and technically proficient individuals that will give you the right counsel. If an insurance Firm is unwilling to provide evidence of their capability, don’t deal with them. The author of this blog, Guy Hatfield CPCU CIC, can be reached at 203.256.5660 . Lately, I have been finding that many households are hiring part-time and full-time employees to help manage the complexities of modern-day lifestyles. Mothers’ helpers are becoming commonplace since it is so routine to have two breadwinners in the family. It is also common to see private nurses and home health aides hired to take care of an elderly relative. These caretakers are your employees and the latter are entitled to state statutory medical and disability benefits. If someone you hire gets hurt on the job, you will be responsible for providing these benefits~regardless of the circumstances of the accidents. Because of this, it is imperative that as an “employer” you purchase a Worker’s Compensation insurance policy which will respond to these mandated benefits. 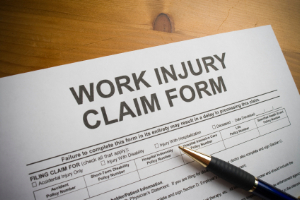 What happens if an employee gets hurt and you don’t have a Worker’s Compensation policy? Well, be prepared to pay out of your pocket the full medical costs, lost wages and possible disability settlement. This could cripple a family financially. It doesn’t matter if your employee falls down the stairs because they are clumsy or gets hurt in an auto accident while doing an errand. You will probably be on the hook to provide benefits. The cost of these policies vary depending on the type of work provided and the weekly hours on the job. If you hire a couple of college kids to paint your house, the policy will be expensive because of the greater likelihood of injury. The rate for a housekeeper will be much less. Don’t be fooled by terms, “I’m fully insured” or “I’m an independent contractor.” In a court of law you may be held responsible if they are working for you. If a person performing work for you has the characteristics of an employee, he or she will most likely be declared an employee if there is a lawsuit over an injury. The homeowner policy specifically excludes bodily injury to anyone who is eligible to receive Worker’s Compensation. Also, if you run a business, anyone working for you is entitled to benefits for on the job injury~regardless of how many hours they spend on the job. For more information of this tricky area of insurance, please contact me, Guy Hatfield at 203.256.5660. I’d be happy to answer all your questions and clarify anything that seems confusing.